Commissioned to honor the Pennsylvania Railroad employees who died in World War II, Walker Hancock’s heroic bronze presents the Archangel Michael, angel of the Resurrection, lifting a lifeless soldier in his arms. 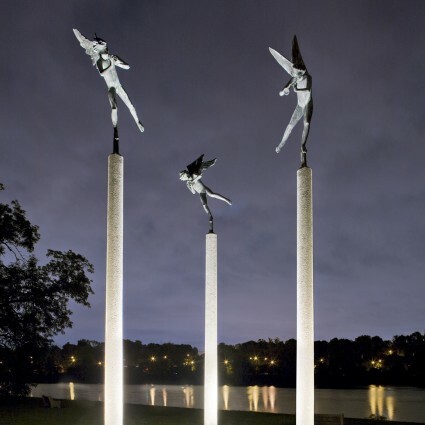 The angel’s great wings point directly upward as he frees the youth from the flames of battle. 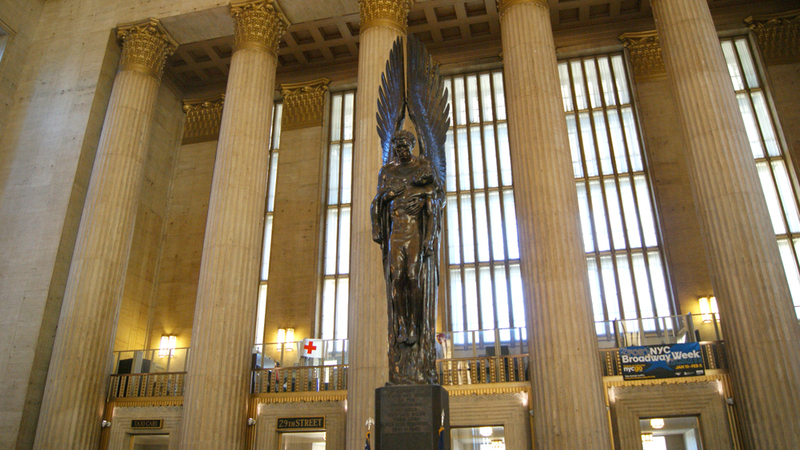 The high columns of 30th Street Station form a dramatic backdrop, and the pedestal bears the names of all 1,307 railroad employees who perished in the war. Many people recall the sculpture from the early scenes of the film Witness. 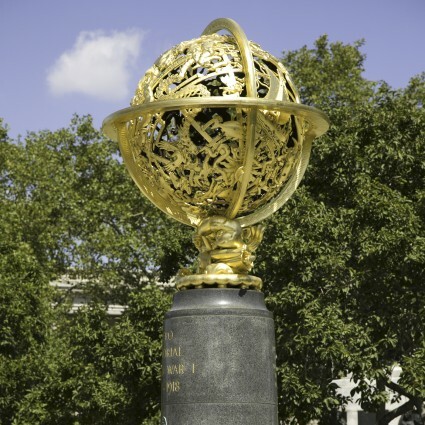 During World War II Hancock served in the military – spending part of the time with an overseas unit concerned with fine arts and archives – and when the hostilities ended he brought considerable personal feeling to the creation of war memorials. He contributed three angels of victory to the tower of the Lorraine American Cemetery in Saint-Avold, France, but his best-known angel is the compassionate Michael of 30th Street Station. Poet Robert Frost voiced his admiration for this monument. 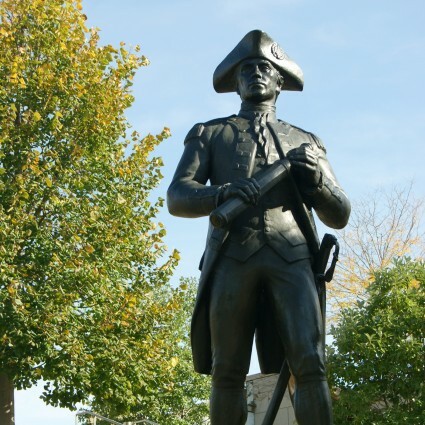 Hancock also fashioned the statue of John Paul Jones for the William M. Reilly Memorial in Philadelphia. The unveiling of the memorial on August 10, 1952 was attended by railroad officials, General Omar N. Bradley of the Joint Chiefs of Staff, and the sculptor himself. A young railroad employee, Robert E. Laws, pulled the unveiling tapes to reveal the sculpture to the public. 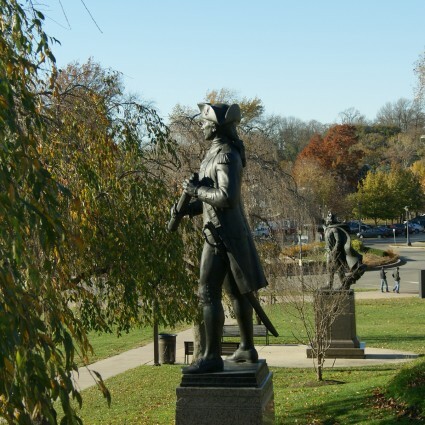 Adapted from Public Art in Philadelphia by Penny Balkin Bach (Temple University Press, Philadelphia, 1992) and Sculpture of a City: Philadelphia’s Treasures in Bronze and Stone by the Fairmount Park Art Association (now the Association for Public Art) (Walker Publishing Co., New York, 1974).